Parenting disputes are an all-too-frequent issue for divorced parents. 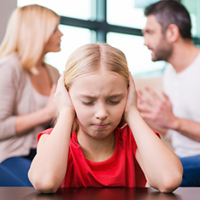 When these disputes occur, there are options outside of the courtroom – such as the appointment of a Parenting Consultant – to help parents resolve these issues. Parenting Consultants are trained to help divorced parents make child-focused decisions. I work to assist parents in coming to their own agreements. I help parents individually and together to resolve specific parenting issues, as well as help with communication styles and other struggles. Most parties agree to employ a Parenting Consultant as part of their divorce decree, and appreciate the ability to turn to someone with decision-making power with a simple phone call. Along with keeping children out of court and conflict out of the home, Parenting Consultants may provide significant time and cost benefits to those who use them. Without a Parenting Consultant, simple day-to-day parenting decisions can require filing a court motion, potentially costing parents months of time and thousands of dollars before a decision is finally reached. I can help resolve those issues within a week or two, and the cost to the parents is just a few hours of my time. Parenting Consultants are often chosen using a “rule out” approach – you and your co-parent each take turns “ruling out” different professionals until you’re left with one name on a list. Instead – why not look into each professional’s background? Some Parenting Consultants have a legal background, some a mental health background, and still others come from the world of mediation. Some move fast, some move slow. Be a careful consumer, and choose the professional who is most likely to help you and your ex make good co-parenting decisions. of effective co-parenting and agreement on difficult issues.